Tianjin, as one of China’s four municipalities, is advantageously located in the Bohai Bay economic rim, which makes it a national hub for the north–south exchange of commodities, with an increasing role as a business centre. 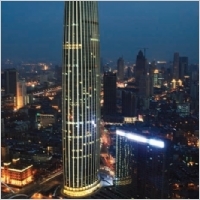 Moreover, Tianjin has become one of the most favoured destinations for overseas and domestic investment. Tianjin’s GDP totalled RMB1,437 billion in 2013, up 12.5% yearon- year (YoY), 4 to 5 percentage points (ppts) above the national average, with a GDP compound annual growth rate (CAGR) of 14.5% between 2000 and 2013. Tianjin ranked fifth among mainland cities in terms of GDP growth rate, which has attracted large investment into real estate.